Home / Blog / Entertainment / When is JAMB form closing? When is JAMB form closing in 2019? Currently, candidates are registering for the UTME and DE exams. How much time do they have left? Find out the answers and more in the post below. Are you planning to take UTME examinations this year and enroll in a higher education institution? Do you want to know the answers to these questions: “When is JAMB closing?” “What is the time limit for JAMB 2019 registration?” “When is JAMB registration ending?” The crucial information about the JAMB form closing date is below. JAMB registration closing date is the 21st of February, 2019. As you can see, candidates still have some time left. You can safely go through the registration process for JAMB 2019. Good luck! Keep in mind that there is no refund for the registration fee; the fee is 3500 Naira. Besides, during the registration at the CBT centres, only the agreed amount 700 Naira can be withdrawn separately for test examination if an applicant wants to pass a trial exam. If a centre requires more than above-indicated amount, you should report to the Joint Admissions and Matriculation Board for suitable sanctions. It is forbidden for the personnel of any CBT centre to carry out a direct cash operation with applicants. It is recommended for applicants to read and understand the guidance concerning acceptance and instructions dealing with the beginning of the online registration. Multifold registration is prohibited. Applicants who register for the exams multiple times will be disqualified. It is prohibited to take various gadgets and electronic devices as well as pens for the exam. Only an ordinary pencil is permitted. Keep in mind that NO internet cafes or other points except authorised CBT centres are allowed to carry out UTME exams. DE applicants should provide their numbers of online registration. The applicants should not pass UTME and DE at the same time. The standard admission demands for every degree level is five O’Level credit points comprising the English Language. You can get more information in the brochure. Every applicant will receive it at the authorised CBT centre and state offices. Besides, you can access the Joint Admission and Matriculation Board exam brochure using the Android mobile application JAMB IBASS. Important: Take care of your safety. Do not transfer your password to third parties. The personnel at the CBT centres are authorised to receive only your profile code, email, and registration number from you. Beware of scammers. As you can see, candidates still have a bit of time. You can safely go through the process for UTME 2019 carefully. However, do not waste any more time, you do not have a full month; JAMB registration closing date is the 21st of February, 2019. Good luck! 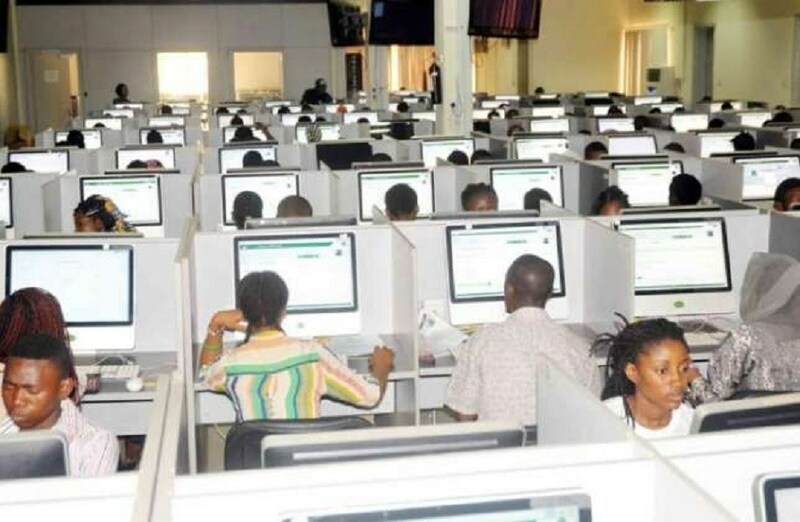 READ ALSO: JAMB registration 2019: how to do it via SMS?